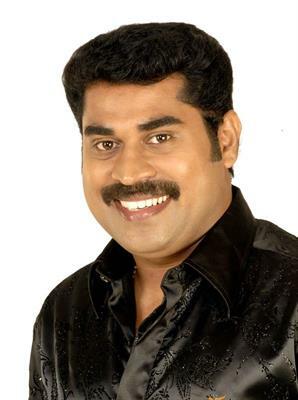 Perariyathavar malayalam movie to be directed by Dr Biju will feature Suraj Venjaramoodu and Indrans in the lead roles. The movie pools into the life of two street sweepers donned by Suraaj and Indrans. With major locations set in Thiruvanathapuram and Kollam, the movie will go on floor in October. Biju who had earlier announced a project 'Painting Life' will be keeping the work of the movie at side and would move forward with Perariyathavar. Dr Biju who rose to face as film maker with Aakashatinte Niram is gearing up to helm his new project which revolves around the life of two street sweepers. The movie which stars Suraj Venjaramoodu and Indrans in the lead roles will start rolling from October with Thiruvanathapuram and Kollam to be set as the major locations. Biju who had earlier announced a project 'Painting Life' will be keeping the work of the movie at side and would move forward with Perariyathavar. Dr Biju(Bijukumar Damodaran), a doctor by profession thought of going behind his passion who landed in the industry directing the movie Saira in 2005. It was just an opening in the career of Biju who received acclaims for his innovative talent in portraying a story. His later movies like Veettilekkulla Vazhi and Akashathinte Niram have also won a number of awards. Other than being credited with awards, all his three movies got screened in various International Film Festivals. His directorial debut 'Saira' participated in 21 international film festivals held at USA, Brazil, Israel, Russia, Italy, Greece, Zimbabwe, Belgium, Bangladesh and few more. His second movie 'Raman' based on terrorism was screened in seven international festivals. Dr.Biju who follows a unique path in telling tales has selected another interesting theme for his 2010 movie 'Veettilekulla Vazhi' staring Prithviraj in lead. As usual the movie which had the directorial signature was well received and managed to win a handful of awards. 'Veettilekulla Vazhi' too ran around the world getting featured in various International Film Festivals. Much more than this, the movie won the National Film Awards for the best Malayalam film in 2010. 'Akashathinte Niram' released in 2012 was much enough to know the real skill of the director who managed to get the attention of movie lovers around the world. 'Akashathinte Niram' was listed among the top 282 movies to be selected for the prestigious Oscar award for Best Picture. After being selected for the 10th Stuttgart Indian Film Festival (Germany) and 4th Jagran Film Festival, Mumbai, this movie is all set to get screened in the 8th Seattle South Asian Film Festival to be held in (USA) next month. While Biju has completed the pre production works of 'Painting Life' featuring Prithviraj and Priyamani in lead which is expected to start rolling in the first half of 2014. Perariyathavar coupled with humour will be yet another movie which would offer the audience full entertainment.